Notifications are often really helpful in keeping us in sync in real time with the outside world — chats, messages, missed calls, reminders, emails, whatnots. They bridge an important gap between the info already becoming available and manually getting the info only after opening the app. 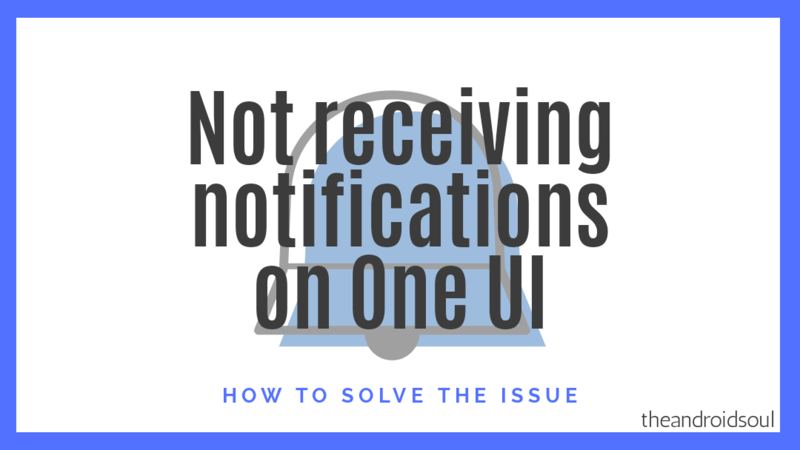 While notifications can get pretty distracting at times, fortunately, users have multiple options to turn off notifications at a certain time or from a certain application. But normally, you want to receive notifications in a timely fashion, unless you knowingly disabled it manually for a certain app or apps. But unfortunately, users of the new One UI skin, a cherry on top of Samsung’s Android Pie update that is, are suffering from a problem where they can’t seem to get notifications from their favorite apps. That this is happening only after they have upgraded to One UI makes it clear that this is an issue with One UI, not the device. FYI, Samsung’s One UI update is based on Android 9 Pie OS from Google, which by itself brings along a few improvements to help improve how notifications work. The One UI update is now available for the Galaxy S9/S9+, Galaxy Note 9, Galaxy S8/S8+, and the Galaxy Note 8. So without much further ado, let’s check out how to solve the notification issues after updating your Samsung device with the new One UI update. Android 9 Pie for the Galaxy devices brings along a couple of battery enhancement features wherein the system may put an app to deep sleep, restricting any background activities whatsoever to save the battery life. This can be the cause of app no longer able to update itself in the background and thus not sending you notifications. This is a common practice, and we often hate Huawei for this, who do this very aggressively. Samsung doesn’t, but in case it is so happening that you have stopped receiving notifications from apps, here’s how to fix it. To prevent the battery enhancement feature from preventing apps from getting updated and thus notifying you, here’s what you would have to do. Open the Settings menu on your Galaxy device running One UI. Now tap on Device care and then select Battery. Tap on the 3-dots icon and select Settings. 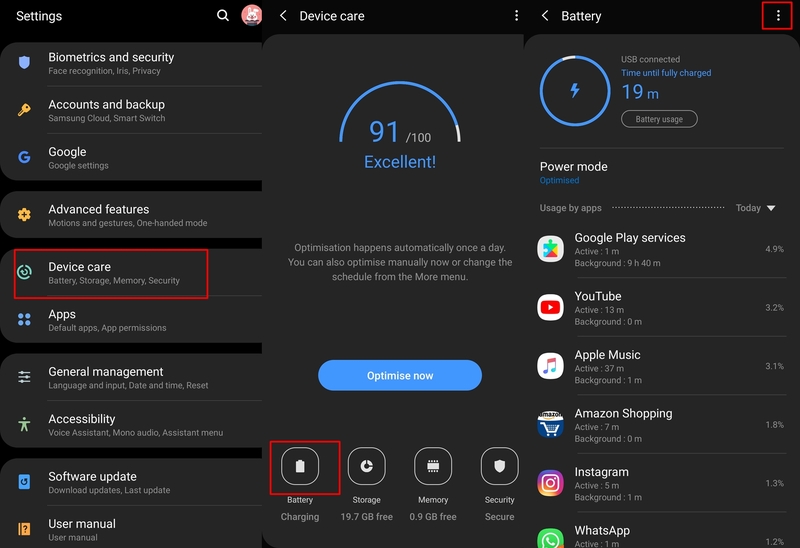 If you rely on certain apps simply for notification without using those apps, then you might have to turn off the Adaptive battery feature since it automatically limits battery usage of unused application which prevents the app from displaying notifications. You should also toggle off the Auto disable unused apps option if you only rely on certain apps for notifications without actually using the apps. However, if you use the apps often yet still aren’t receiving notifications, then we’d suggest checking out the Sleeping apps list. Simply tap on Sleeping apps and then check out the list and see if the app you’re not receiving notifications on is in the list. 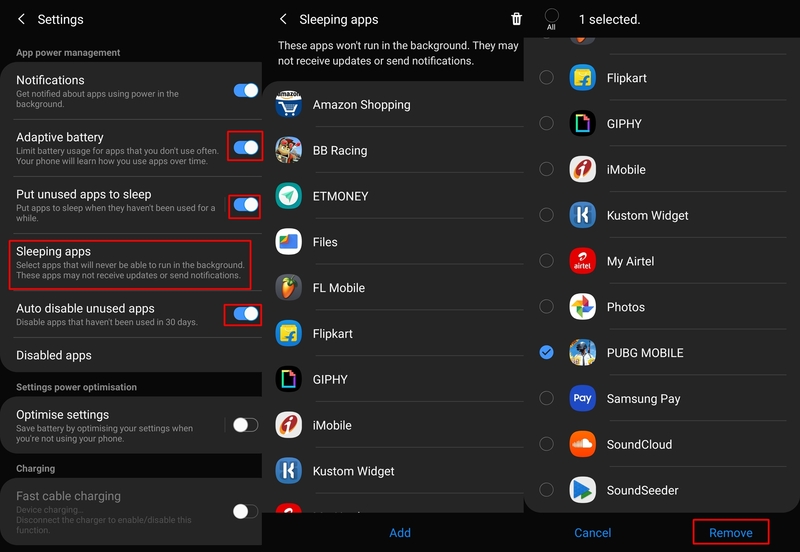 In case the app in question is present in the Sleeping apps list, then this could be the reason why you aren’t receiving notifications from the app. To remove the app from the Sleeping apps list, press and hold on the app(s) in the which you aren’t receiving notifications from and then tap on Remove. Now you should begin receiving notifications from the application as usual. However, if you still aren’t receiving notifications, then you might have to use the workaround mentioned below to solve the problem temporarily until Samsung releases an official update to fix the issue. Tap on the 3-dots icon at the top right of the screen. Tap on BadgeProvider and then tap on Force stop. You would now have to restart your device. Once the device restarts, you would begin receiving notifications as usual; however, you might have to perform the same steps every now and then since the notifications might automatically stop once again.